HIRING: We are looking to hire 2 qualified English Composition Teachers. Masters Degree Higher required. This course will develop the students’ understanding and utilization of western writing conventions in order to effectively communicate thoughts and ideas in an international setting. In order to meet this objective, this course will discuss cultural compositional differences, the writing process, and types of essays. Students will submit two essays to demonstrate mastery of this course. Download sample syllabus. • Masters degree or higher preferred. 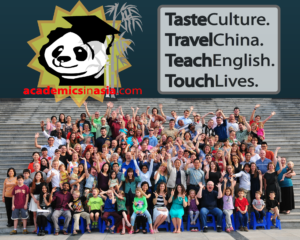 • Teaching experience preferred (if you have less than 2-years teaching experience you will need a TEFL certificate). • We give preference to those with marketplace experience in the topic taught as well as international experience, have a history of being a role-model to students, and are patient and flexible when cultural differences create tension or strain. About Sias University: Sias International University (Sias) birthed from the vision of Christian entrepreneur, Shawn Chen, to create an “East Meets West” experience. Sias is the first American-owned university in Central China and employs 130 foreign faculty, the most of any school in China, with 50 dependent spouses and children. The average teacher stays for 4 years and 25-30% turnover creates 30-40 openings per year. Yearly we have openings for 15-20 Oral English teachers, 15-20 Business Teachers, and 3-4 Elementary school teachers. Job Categories: MA Degree Required. Job Types: Full-Time. Job Tags: English Composition Teacher in China. Salary: 6000-8000 RMB.